Have you ever tried those nasal strips for your snoring only to discover that they don’t work for you? Maybe it’s time to try another solution. Perhaps a mandibular advancement device (MAD) like SnoreMeds could be your perfect fit. What is SnoreMeds and How Does SnoreMeds Stop Snoring? SnoreMeds is a Mandibular Advancement Device (MAD) that works by pulling your lower jaw forward, which prevents your tongue from relaxing into your throat and blocking your airway while you sleep. 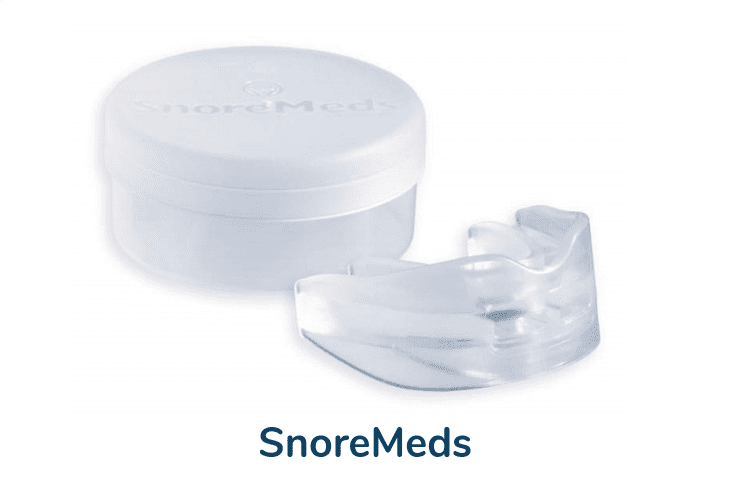 SnoreMeds stops snoring by keeping your tongue clear of your airway. SnoreMeds works by using a boil-and-bite custom-fit mouthpiece to advance your lower jaw forward while you sleep. Most snoring is caused by the tongue partially blocking the airway when it relaxes during sleep. Advancing the lower jaw prevents the tongue from relaxing into the throat. Do you Want a SnoreMeds Anti Snoring Mouthpiece? You need to have your lower jaw thrust forward while you bite the hot mouthpiece. You only get two chances to get the fit right, so you may want to practice jutting your jaw forward into the position you want it to be in every night before starting the boil-and-bite process. Ideally, you want your lower jaw to stick out 3-5 mm ahead of your upper jaw. Hold the mouthpiece upright and insert the handle/spatula. Pour boiling water into a bowl and insert the mouthpiece in the hot water for 18 seconds. The mouthpiece will turn clear when it’s ready to be formed. Place the mouthpiece in your mouth (bottom teeth first) and thrust your jaw forward into position. Then push the plastic around your teeth to fit while sucking out the water to create a vacuum seal on the back side of your teeth. Once you have a good fit, place the mouthpiece in ice cold water. Once it’s cooled, double check the fit. You may repeat this process once if you don’t get a good fit the first time. However, after two fittings, the plastic will be ruined and you won’t get another opportunity to fit it properly. 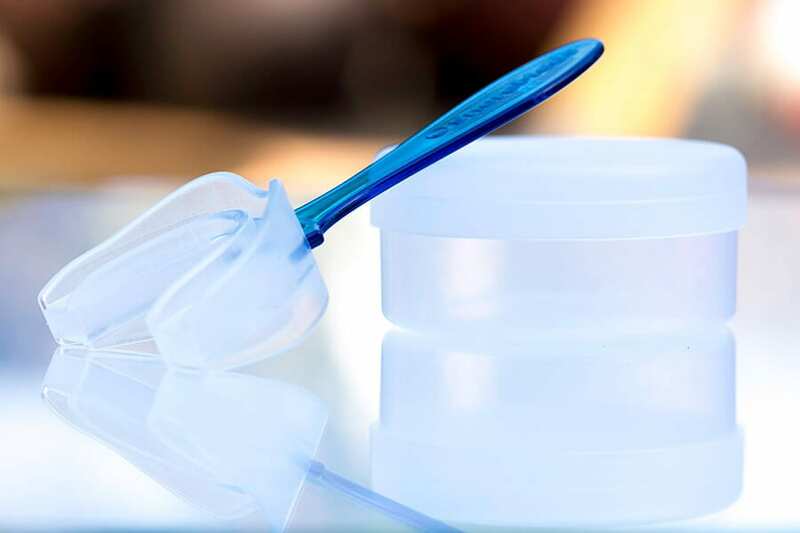 Once the mouthpiece is properly molded, all you need to do is pop it in your mouth every night after brushing your teeth and before going to bed. Each morning, clean with a toothbrush and toothpaste. Once a week, put it in a cup with a denture cleaner to remove bacteria missed by regular brushing. Replace the mouthpiece as needed, usually every 3-4 months. Are there different types of snoring? Yes. 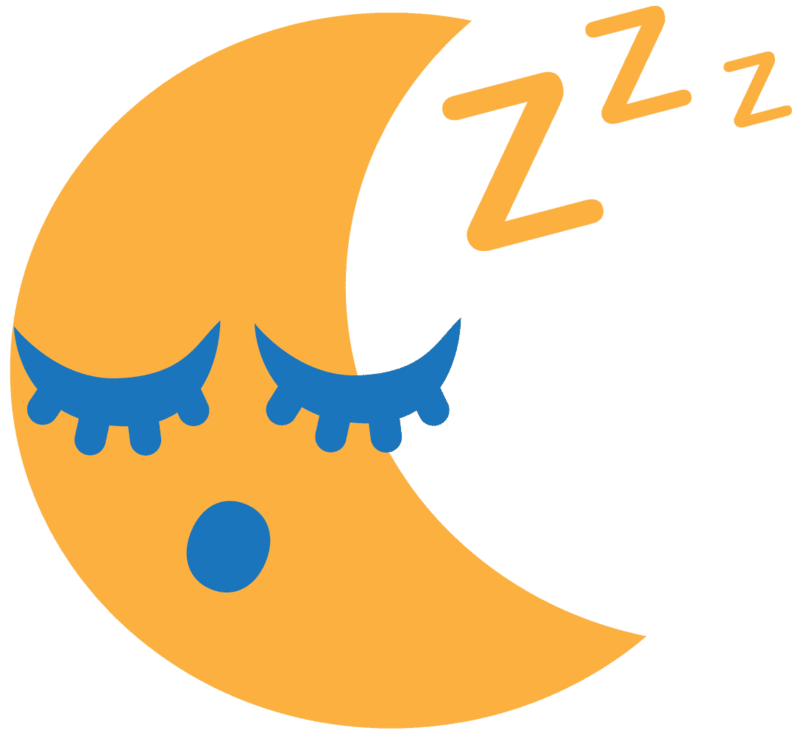 While snoring is often caused by the tongue relaxing into and partially blocking the airway , snoring can also be caused by the jaw dropping open at night, small or collapsing nostrils preventing you from breathing well through your nose, or air drying out the back of your throat. SnoreMeds may be effective for the 85% of people whose snoring is caused by their tongue blocking their airway, but is not effective for other types of snoring. Will SnoreMeds stop my snoring the first night I try it? If you are one of the 85% of people whose snoring is caused by your tongue partially blocking your airway while you sleep, SnoreMeds should stop your snoring the first night. If it doesn’t, try remolding the mouthpiece with the lower jaw slightly more forward. Yes. There is a women’s size for smaller mouths and a men’s size for larger mouths. There is no children’s size available and the mouthpiece should not be used by children. Can I use SnoreMeds if I wear dentures? SnoreMeds is not recommended for use by people who have dentures, bridges, braces, dental work, or gum problems. Who may have trouble using SnoreMeds? Men with large jaws report having difficulty keeping the mouthpiece in throughout the night despite the men’s size supposedly being able to accommodate men’s mouths. Is it common for women to snore? While modern society would have us believe that only men snore, 1 in 5 women will snore at some point in their lifetime, especially if they are overweight or reaching menopause. The mouthpiece for women is designed to be deeper and more comfortable for smaller mouths. If you purchase a Single or Double pack of SnoreMeds, you have 45 days to contact the company and send SnoreMeds back for a refund of the purchase price (though you’re still out the cost of shipping). Value Packs are excluded from the 45-day money-back guarantee. Where Can You Buy SnoreMeds? SnoreMeds is available for purchase on its website, here. Prices range from $46.95 for a single mouthpiece with a case to $94.95 for a value pack that includes four mouthpieces, one case, and two handles/spatulas. You should clean your SnoreMeds after each use with a toothbrush and toothpaste. Once a week, you should also drop the mouthpiece into a glass with a denture cleaner to remove bacteria missed by brushing. Rinse and dry before the next use. Does SnoreMeds have any Side Effects? Yes. Side effects are usually mild and tend to go away within the first week of use. Side effects may include excessive drooling, jaw soreness, gum pain, dry mouth, tender teeth, and small changes to how you close your jaw. The company claims the mouthpiece can last as long as one year, but should be replaced every three to four months for best results. SnoreMeds can be used by adults whose snoring is caused by their tongue relaxing into their airway while they sleep and who don’t have dentures, bridges, braces, or dental work of any kind. Those who choose to use SnoreMeds should also have healthy gums. Talk to your doctor before use if you have obstructive sleep apnea. Will the SnoreMeds Mouthpiece Work for you? One simple test to determine if the SnoreMeds mouthpiece is right for you is to thrust your jaw forward and try to make snoring sounds. If you are unable to make a snoring sound with your jaw thrust forward, the SnoreMeds mouthpiece should work for you. While it isn’t for everybody, the SnoreMeds mouthpiece can be a great snoring solution for people whose snoring is caused by their tongue relaxing into their throat and partially blocking the airway and who also don’t have dentures, braces, dental work, or unhealthy gums. It’s easy to use, affordable, and works for most people. ZQuiet Review – Does It Really Stop Snoring? VitalSleep Review – Does This Anti-Snoring Mouthpiece Really Work? SleepTight Mouthpiece Review: Does it Really Work?